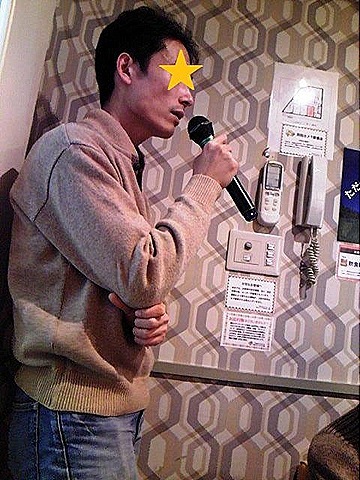 I gathered people for having a karaoke session that year, and since then I enjoyed karaoke with him and our friends every end of the year. 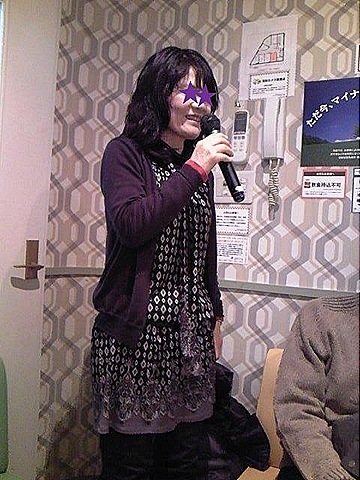 Yes, I had a karaoke party at the end of last year, too. There were 12 people in the party this time. 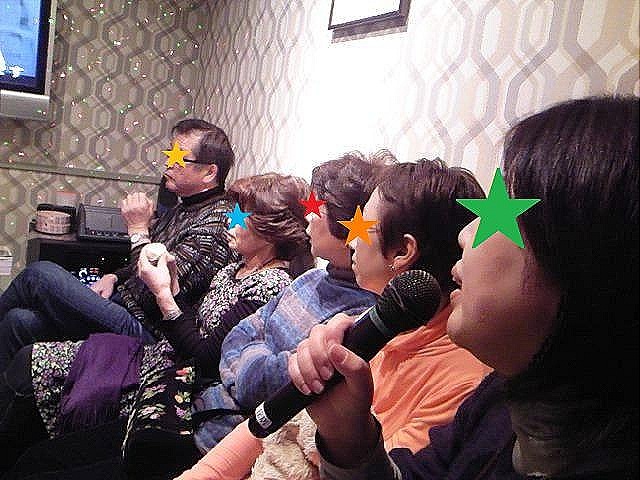 Actually, one of us came from Tokyo that day! But I’m sure all the participants had a really great time in spite of those many terrible things. One trouble after another, we finally began laughter. 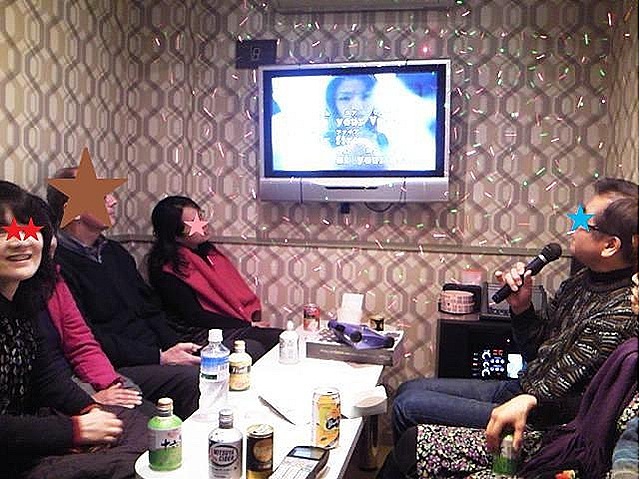 We huddled in the small room and sang many songs together without microphone. That was quit cozy and homelike and fun. Have you ever tried tako-yaki? Tako means octopus in Japanese. Tako-yaki is a golf-ball-shaped pan cake containing octopus. It’s not sweet but salty. Tako-yaki is one of the most popular snacks in Japan. Some of my friends and I had a tako-yaki party the other day. You need a special hot plate for making tako-yaki. A friend of mine has two ones and we enjoyed making and eating tako-yaki together. 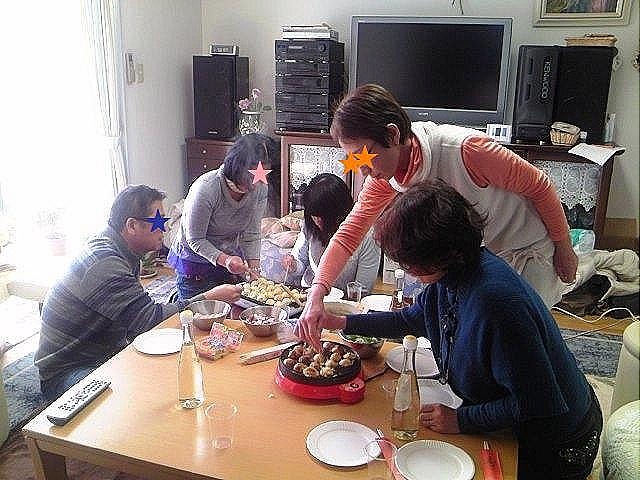 It’s nice to cook together as eating and drinking and chattering. It’s also good to eat them hot directly from the hot plate. But you should be careful not to burn inside of your mouth. Look at their shape. I melted when I was looking at the steaming cute round shape. It also melted inside my mouth when I ate one. It was quite hot, though. It seems that octopus is not eaten so much in other countries. Tako-yaki is called because it has octopus inside, but we made many tako-yaki without octopus as well. We made them with shrimps, cheese, and other foods. They were also delicious. 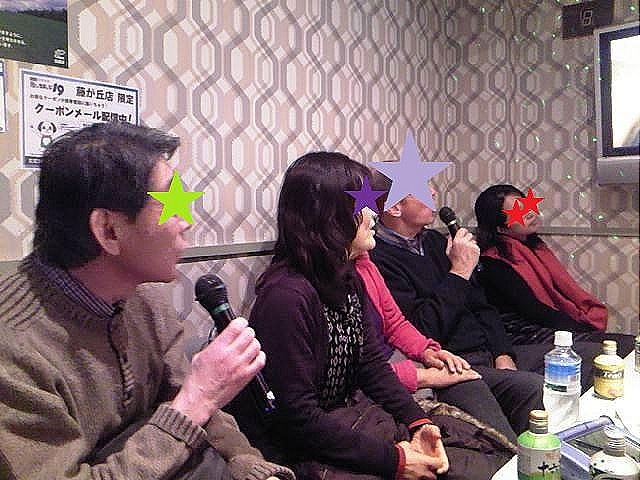 I had a really good time at the party. 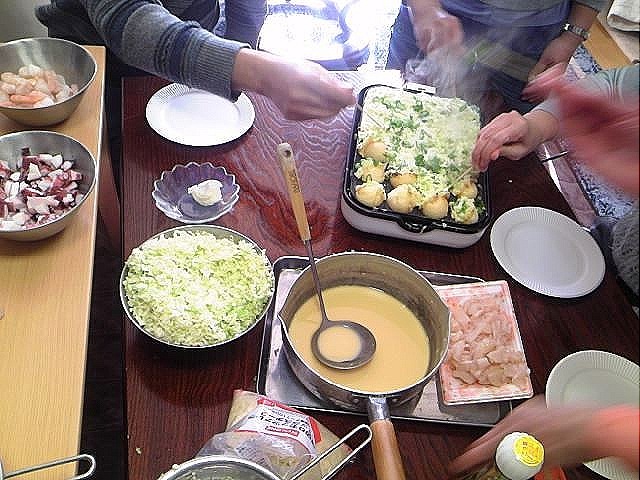 I’m looking forward to having a next tako-yaki party together with my friends! 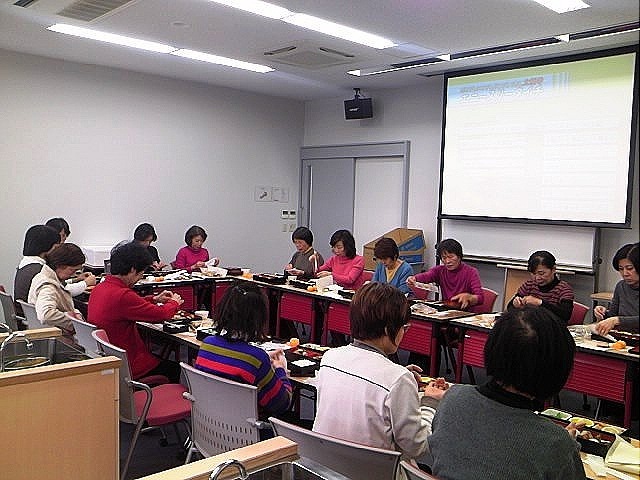 After the Tai Chi course, the participants and our teachers had a party at a classroom of the university. 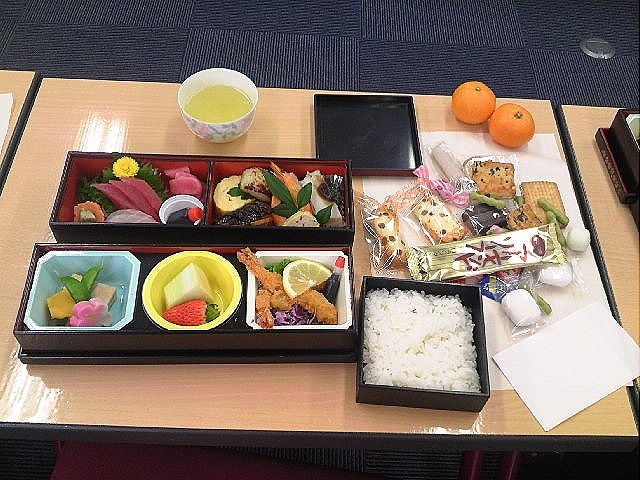 It’s difficult to find a good place for having lunch together with all of the participants because there are more than 25 people in my class. So, we usually ask the university to use a room for the party and have catered lunch there. We enjoyed having the gorgeous catered lunch and talking to each other and then watching a few DVDs on Tai Chi together. That was a wonderful time. Spring course starts next month. 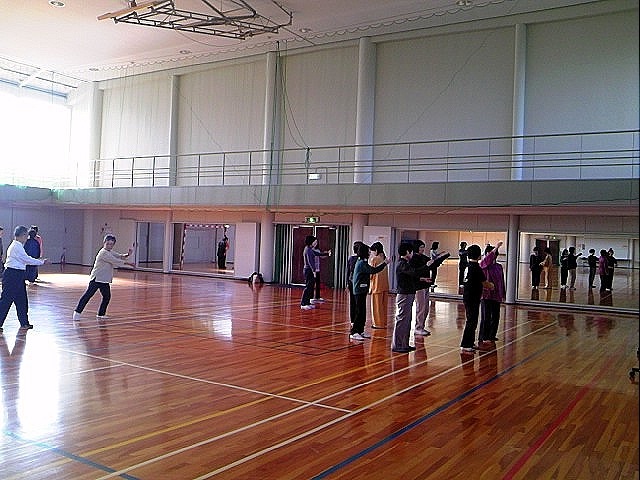 I’m looking forward to seeing my classmates and doing Tai Chi together with them soon! You know, I don’t practice Tai Chi by myself! This is my first journal this year. It’s been cold in Japan since around Christmas holidays. 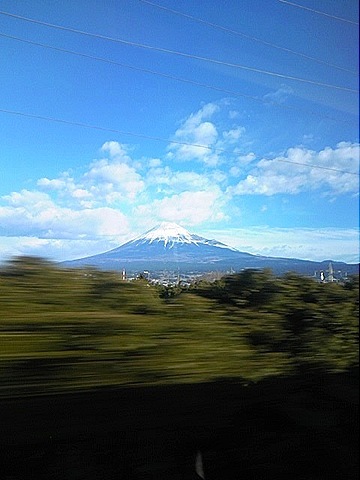 Actually we had much snow in Nagoya area several days ago. 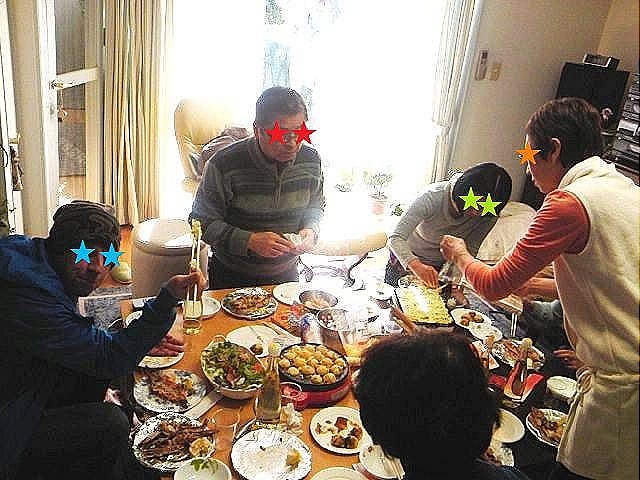 It was also snowing on New Year’s Day when I went to Tokyo to spend holidays with my family. Luckily Shinkansen wasn’t running so late that day, and I didn’t need to wait for the train that long in the cold weather. Actually, the train wasn’t crowded at all. I didn’t reserve, but I was able to find vacant seats easily. It might be because I used Hikari instead of Nozomi that day. Both are names of Shinkansen, or bullet train. 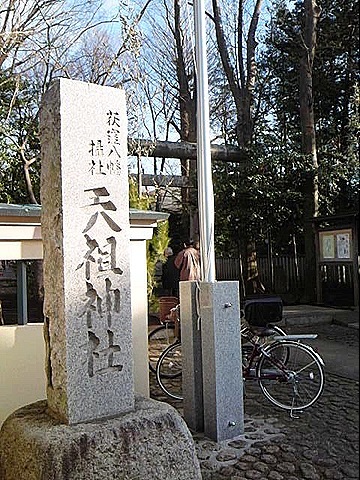 Hikari stops at more stations and takes longer to arrive at Tokyo terminal from Nagoya than Nozomi. But it has five unreserved cars; on the other hand, Nozomi has three. Anyway, I went to Tokyo in the relaxing empty car. 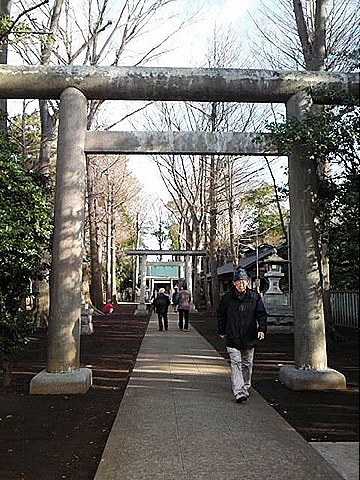 In Tokyo, I met my relatives, enjoyed talking to them over osechi, or traditional New Year’s food, and visited a Shinto shrine with some of them. I had restful holidays there. I wish you the best of luck throughout this year!